Following Cahoots first birthday party on board the HMS BELFAST, we invited scoundrels down to Cahoots’ Black Market, a secret hideaway for all of London’s illicit dealings hidden under the vaults of Waterloo Station. Upon arrival guests were greeted with a Veuve Clicquot champagne reception followed by heady libations of Grey Goose, Jack Daniels and Bombay Sapphire flowing through the night and Fentimans soft drinks, Whitsable Bay Blonde Lager and Bay Pale Ale on hand to steady those wobbly knees. Food was served in mess tins, as well as must have Midnight rations, filled with; fish fingers, finger sandwiches and British favorites sausage rolls. Each tunnel lead to into a different world of 40’s frolics, from the vintage speakeasy “coffee” shop, the Moonshine Brothers Saloon, the Black Market and finally the rip roaring Blitz Room, which all served an array of Cahoots cocktails, withall night long entertainment, from the brass band, The Hotsie Totsies, swing dancers and late night retro DJ sets. 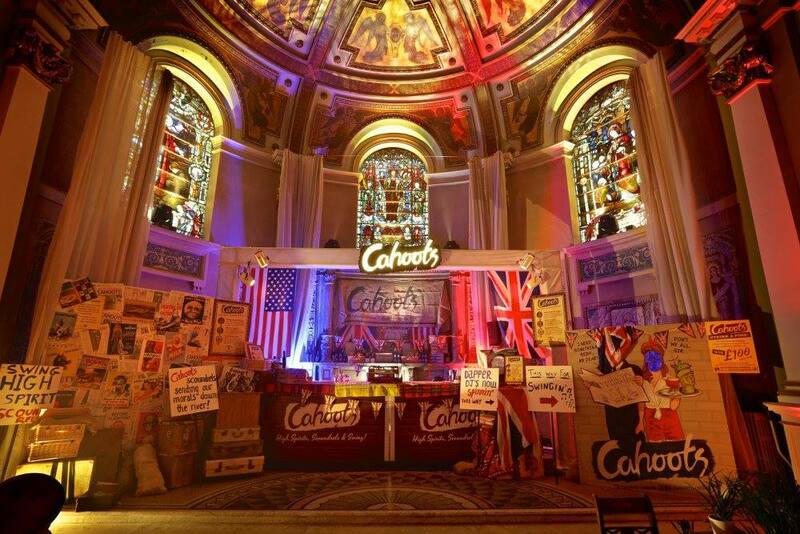 A huge thank you to all who helped create the Cahoots Underground Knees Up! It’s Kick-Off for the Bunga Ballers! 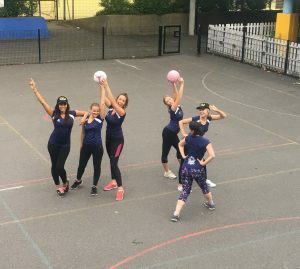 Following the successful launch of the Inception Hoopers netball team, Inception Group have started up a football team named after the Bunga Bunga brand: Bunga Ballers FC. Kicking off an entire season in the Battersea Park League, the Bunga Ballers will be playing on the 11-a-side pitch every Sunday. 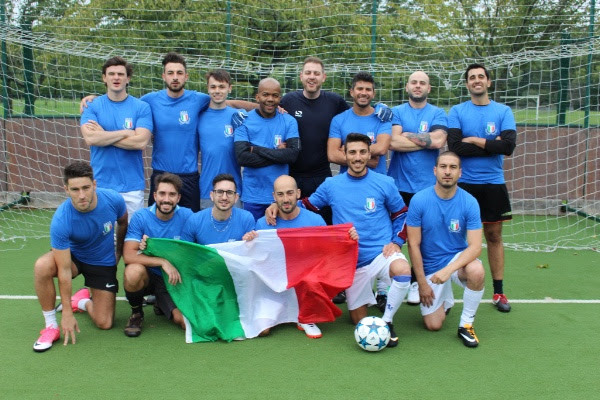 We are also proud to announce that Bunga Bunga Battersea are sponsoring the Battersea Park League, providing the final prize for the winning team at the end of the season! 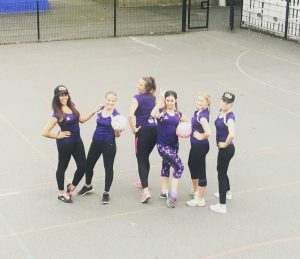 Inception Group has started our very own netball team! With 7 players on the court at each game, it’s an excellent way of increasing team bonding, boosting company morale and encouraging cross-pollination between our departments. 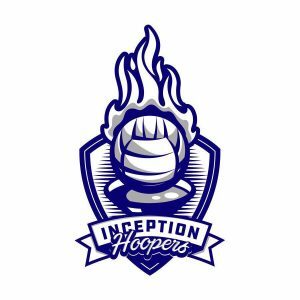 Playing every Tuesday evening for the entire season, the Inception Hoopers are sporting their matching personalised shirts featuring our very own Inception Hoopers logo. 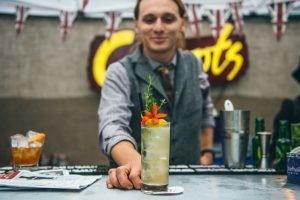 Cahoots – Winners of Cocktails in the City Summer 2017! 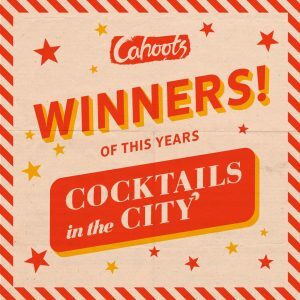 We are very proud to announce that Cahoots is the Overall Winner of Cocktails in the City Summer 2017, one of London’s biggest cocktail events! With Mr Fogg’s and Barts also featuring at the weekend event, Mr Fogg’s has won Best Stand in 1st place and Barts has won 3rd place for Best Cocktail. We were also very successful in the Consumer Online Facebook Poll, with Barts winning in 1st place and Cahoots in 2nd. 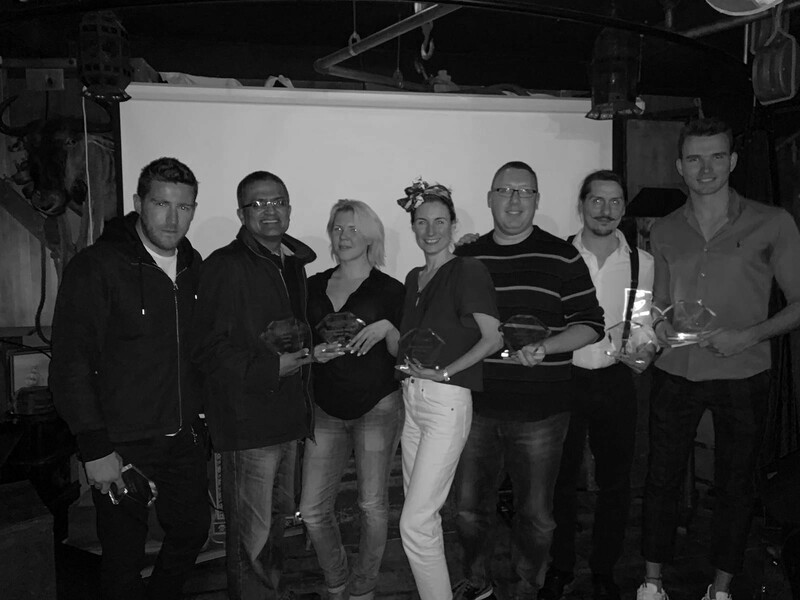 Following Barts’ spectacular win in the Winter series earlier this year, this has been an amazing year for Inception Group, with two of our venues winning the overall prize for Cocktails in the City in one year. We’d like to thank everyone that supported all three of our venues, and to our sponsors – Bulldog Gin, Appleton Estate and Stolichnaya. We look forward to the next upcoming event! 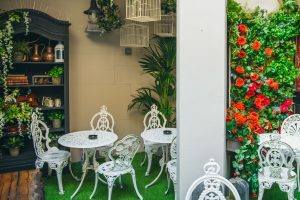 On Thursday 13th July, we are launching our newly refurbished Secret Garden at Barts. 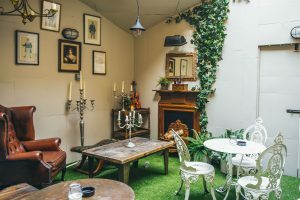 Offering a picturesque setting adorned with beautiful flowers and a quaint fireplace, Uncle Barts’ Secret Garden is the perfect location for friends and associates to indulge in illicit drinks and top secret shindigs in the summer weather. 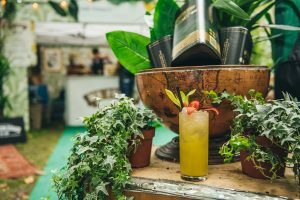 Mr Fogg is delighted to announce the opening of his Apple Orchard Bar at the Aspall Tennis Classic tournament, which will be held at The Hurlingham Club in London from Tuesday 27th to Friday 30th June 2017. 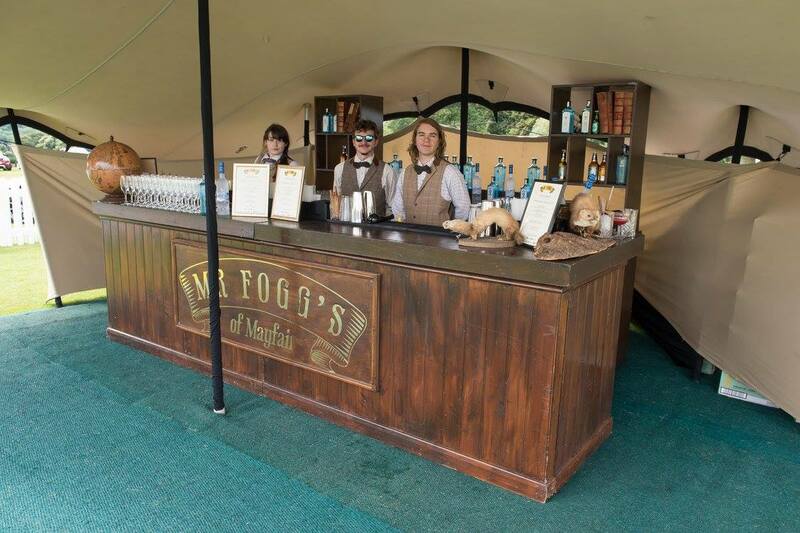 Celebrating his first countryside drinking establishment, a magnificent marquee bar has been constructed for the occasion, where the finest and most refreshing Mr Fogg’s libations will be served. 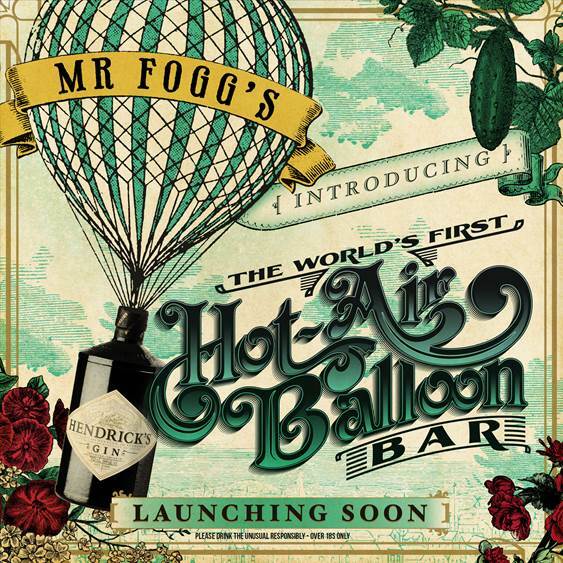 Mr Fogg embarks on his most ambitious venture to date, and is introducing the World’s First Hot Air Balloon Bar. Accompanied by his trusty bar team, Mr Fogg will escape from the bustling streets of London and take to the skies on Saturday 1st July 2017. 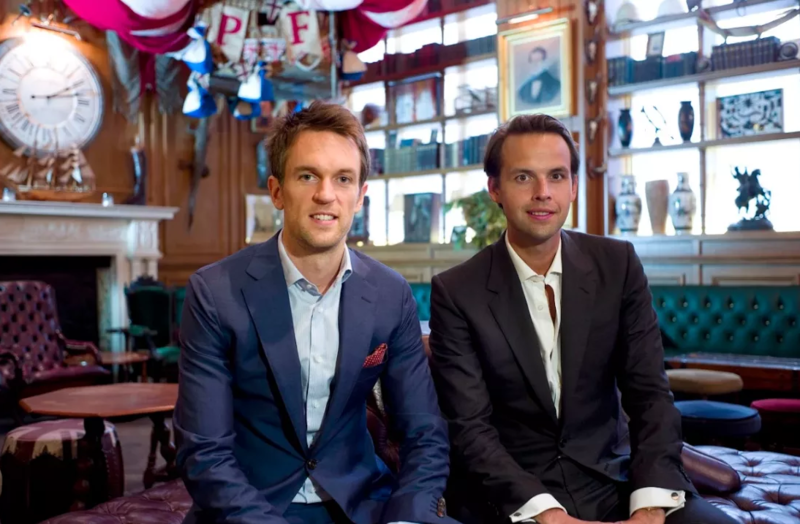 His household staff and Hendrick’s have created an exclusive drink made specially for the occasion; ‘Mr Fogg’s Peculiar Flying Machine’ will be available on board, and will also be served at Mr Fogg’s Residence from the start of July. Across the fair plains of Lord Lloyd Webber’s estate, Mr Fogg’s pop-up residence provides the refined ladies and gentlemen their indispensable Bombay Sapphire cocktailian pleasures, whilst enjoying the Tiffany & Co. Royal Polo on Sunday 16th July 2017. 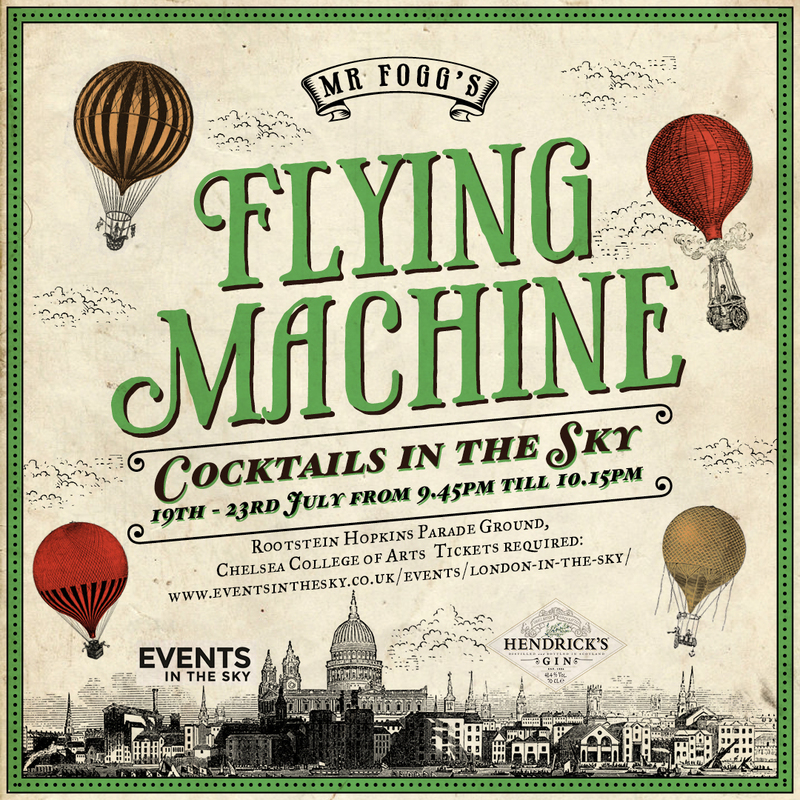 Mr Fogg takes to the skies once again with London in the Sky 2017 in association with Hendrick’s gin. From Wednesday 19th to Sunday 30th July 2017, guests are invited to marvel at a spectacular panoramic view of London, whilst sipping on Hendrick’s gin libations. Up to 22 guests will enjoy libations at a floating table suspended 100 feet high above Chelsea College of Arts, whilst being served a tempting selection of nibbles and cocktails from the pop-up bar at the centre of the table. On Friday 21st July 2017, Maggie’s will be attending golf’s biggest summer party, The Mini Masters in association with Aspall. Held at Dukes Meadow Golf Club in Chiswick, the fun-filled charity event will be packed with celebrities, cocktails and of course 80s music. 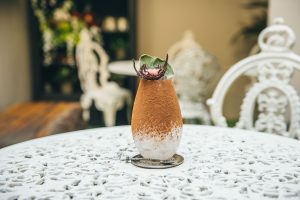 Maggie’s are partnering with Grey Goose for the event, and will be serving a refreshing Grey Goose Le Grande Fizz, along with a selection of summer twist cocktails. The drinks will be served from a tent located at the centre of the 9 hole golf course, complete with a black-and-white dance floor and chill out area, while a Maggie’s DJ will also be present. All proceeds from the event will go to charity, including Leuka, which supports life-saving research into the causes and treatment of Leukaemia. We are happy to be back at Cocktails in the City on Friday 28th and Saturday 29th July 2017 at Bedford Square Gardens in London. 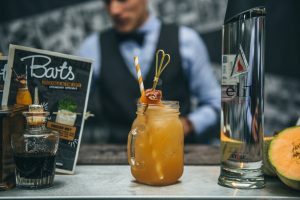 Due to Barts’ spectacular win at Cocktails in the City in March, we are expanding our presence, with three of our bars being featured at the event: Barts, Cahoots and Mr Fogg’s. With Barts being sponsored by Maxxium Brand, we will be serving cocktails infused with Stolichnaya ELIT Vodka. 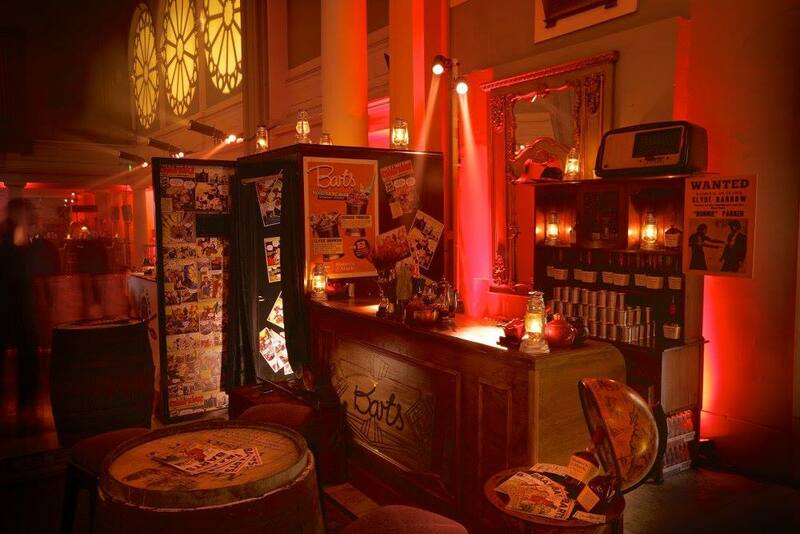 Both Cahoots and Mr Fogg’s will be sponsored by Pernod Ricard, with Cahoots offering Bulldog Gin cocktails and Mr Fogg’s providing cocktails blended with Appleton 12 Year Old Rum. 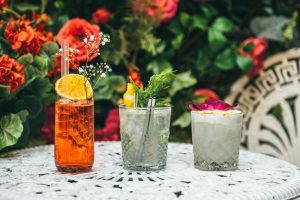 Dubbed as ‘the ultimate cocktail weekender’, the weekend event celebrates London’s cocktail culture by bringing together different bars and brands. 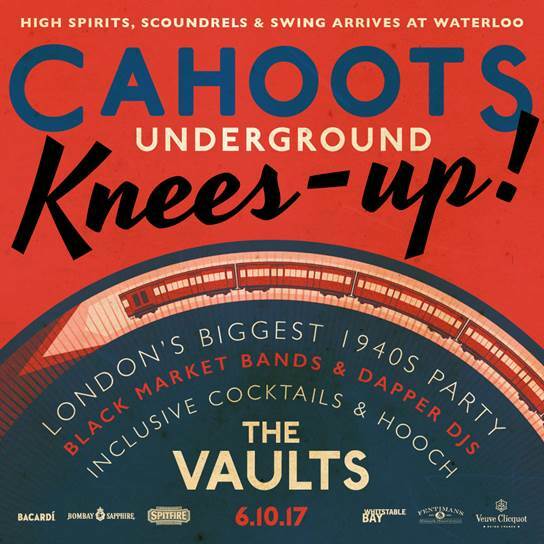 On Friday 6th October 2017, the Cahoots Underground Knees Up event will be held at The Vaults underneath Waterloo Station. Featuring black market bands and dapper DJs, Cahoots are hosting London’s biggest 1940’s underground party. 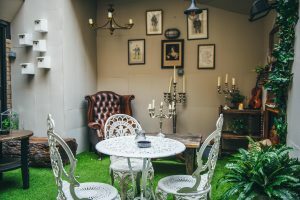 With inclusive cocktails and hooch, Cahoots are bringing high spirits, scoundrels and swing to Waterloo! 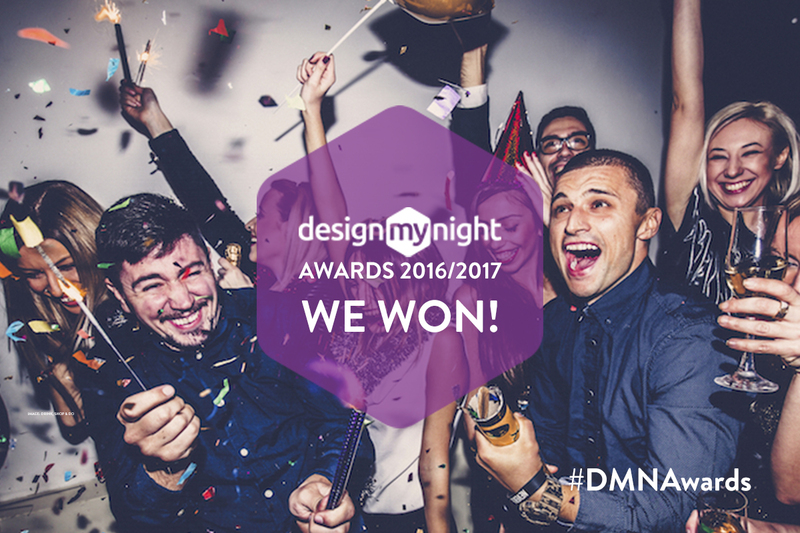 Barts Wins in the DesignMyNight Awards 2017! We’re extremely pleased and proud to announce that Inception’s first venue ‘Barts’ has won not one, but two awards in the DesignMyNight 2017 awards. 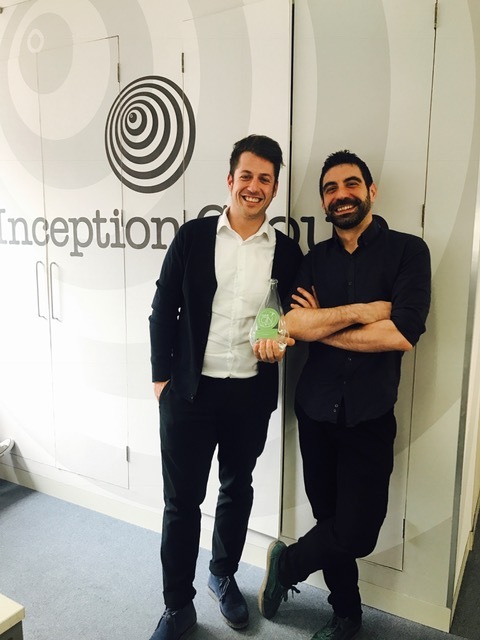 DesignMyNight awards kicked off on the 1st of February and ran for the entirety of the month. Like every year, the awards received fantastic pick-up with several mentions in national and trade press and over 100,000 votes were cast. We’re extremely pleased to announce that Mr Fogg’s has won the award of ‘Best Gin Bar (multiple sites) category’ at the Think Gin 2017 event! Congratulations to Pipo, Marco, Manu, Matteo and the team! Inception Group venues are designed to bring people on immersive and unexpected experiences. A great example of which is one of their latest spaces in Covent Garden – inspired by mobster films, it’s accessible through an industrial meat locker, where guests ‘negotiate’ with a butcher to enter.